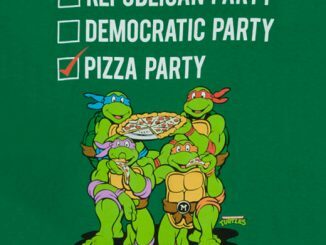 For many Americans, each presidential election is a choice for the lesser of two evils. 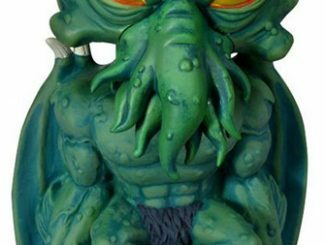 Perhaps it’s the negative campaigns or the corrupt media, but none of the candidates ever seems perfect. 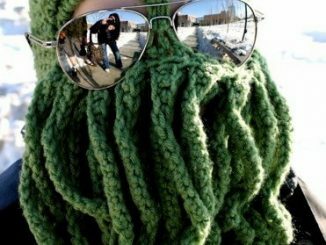 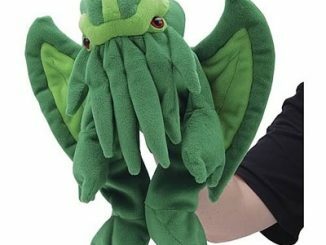 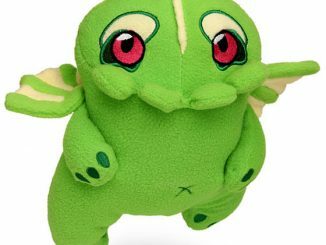 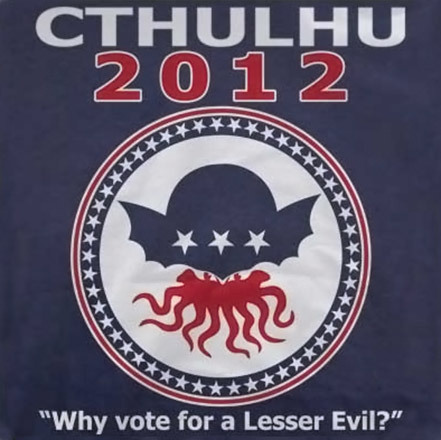 If you’re tired of voting for the lesser of two evils, why not choose the greater evil and vote for Cthulhu. 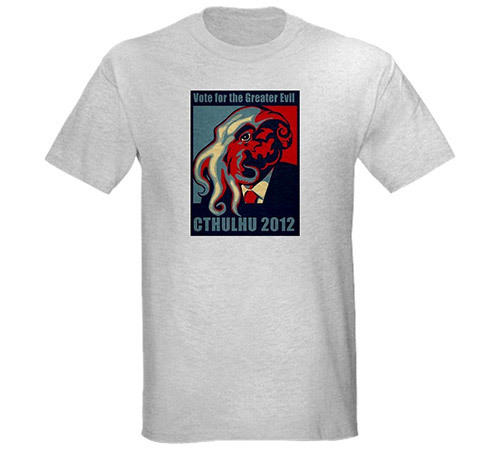 Show your support with one of these Cthulhu for President 2012 T-Shirts. 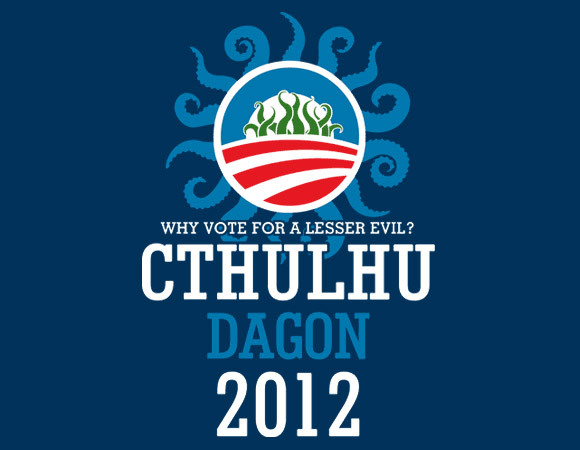 Cthulhu isn’t the only alternative choice out there for the 2012 elections. 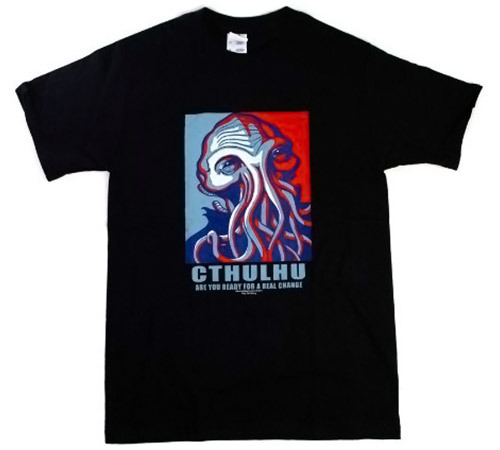 Check out the Parks And Recreation Vote Ron Swanson and Zombies 2012 t-shirts. 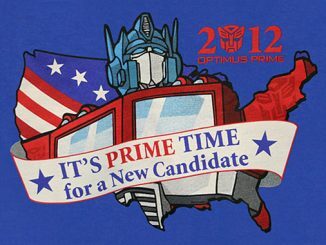 There’s also the Obi Wan Kenobi 2012 Button; he’s our only hope. 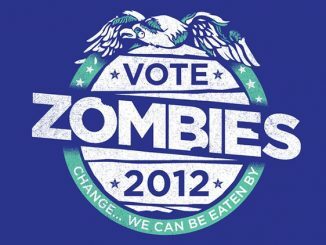 If you liked the Obama Hope poster from the 2008 election, but prefer something less political and with more zombies, check out the Zombie Brains Poster. 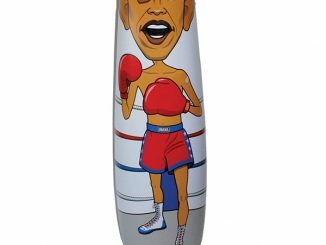 If the constant election coverage, desperate state of the economy, and pathetic foreign policy debacles are leaving you exasperated, take out your frustration on the President Obama Punching Bag and the Obama Toilet Paper. 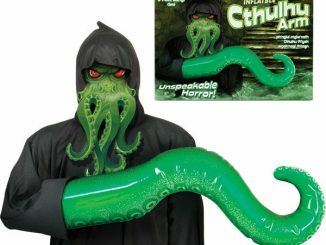 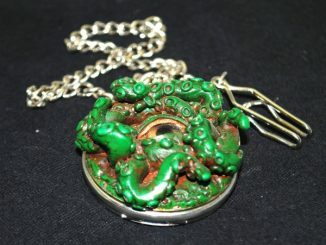 The picture at the top is the Cthulhu Dagon 2012 T-Shirt, which is on sale for just $10 at TShirtBordello.com. 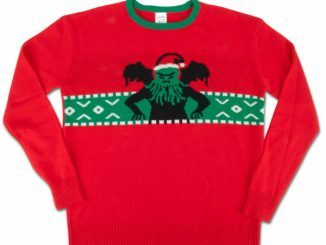 The picture on the bottom is the Cthulhu 2012 T-Shirt, which is only $6 at 6DollarShirts.com. 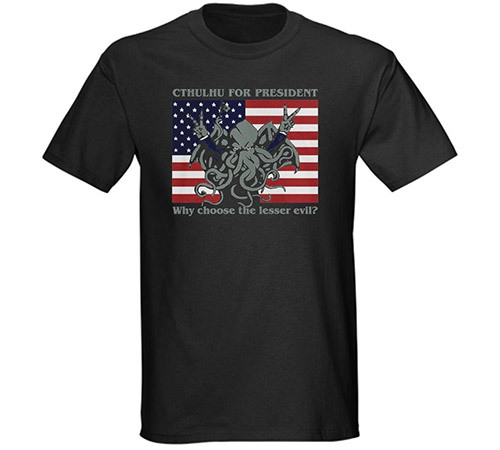 The other t-shirts pictured here (along with many other Cthulhu for President / Cthulhu 2012 designs) are available at Amazon.com and CafePress.